One day I’m going to have to have a section of recipes that just feature cardamom. Anytime I can use this spice, I will! 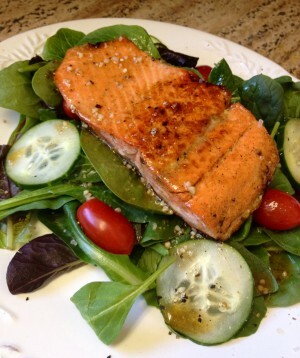 This salmon was packed with flavor and perfectly complimented with a spring mix and arugula salad. Best eaten outdoors, on a warm evening, with a glass of crisp white wine and the love of your life! Well… thats how I enjoyed mine! 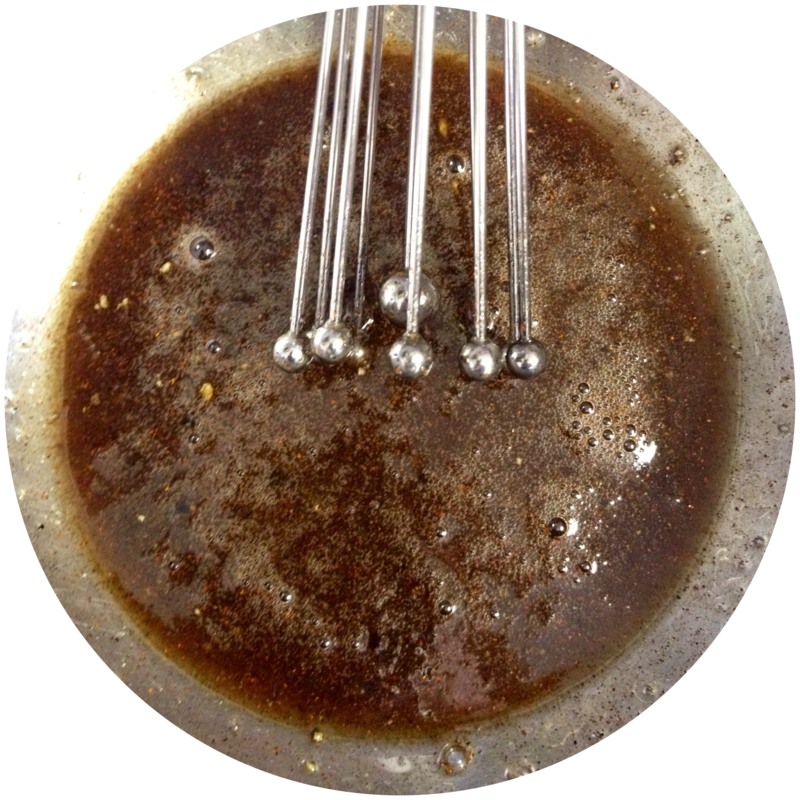 Whisk all the ingredients together in a bowl. Brush the glaze onto the tops and bottoms of the salmon filets. (Reserve the remaining glaze.) Heat olive oil (enough to coat the bottom of your skillet) over medium high. When its hot, place the salmon, skin side down, into the skillet and cover. Cook about 4 minutes then gently flip them over for 1 more minute, just to caramelize the tops. Carefully remove from the skillet and place on a bed of spring mix and arugula salad. 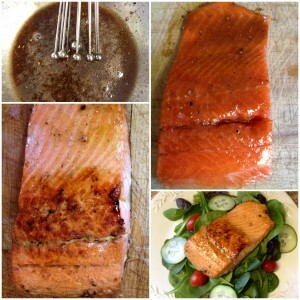 Whisk everything together and toss with salad mix before topping with the salmon filet.